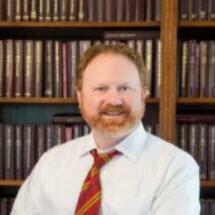 At Robert W. Davis, Jr., Attorney at Law, in Tupelo, Mississippi, we focus on thoroughly evaluating the unique aspects of each client's legal matter to ensure the best representation possible. There is no standardized approach and every case we handle has its own unique aspects. We treat each case individually and with a personal touch. Upon taking your criminal defense, family law, or personal injury case, we will provide you with an honest and candid assessment of your situation and what you should realistically expect. From there, your attorney will handle your case with strict attention to detail. We will gather and review all evidence, police reports, witness statements, and breath test results if your charge involved a DUI. You can count on the attorneys at Robert W. Davis, Jr., Attorney at Law, to provide you with aggressive representation until all trial and appellate avenues have been exhausted. Attorney Robert W. Davis established his law firm in 1997 to serve clients in Tupelo and the surrounding area. He is passionate about his criminal defense practice, advocating for those who have been wrongfully accused or bullied by a prosecutor to plead guilty. He has represented clients in federal court, and even in the Mississippi Court of Appeals, where he litigated a successful appeal of a manslaughter conviction.